Simon Girling & James Morton-Smith, franchise partners at Hunters Estate Agents and Letting Agents Hadleigh, have worked as an estate agency partnership in Hadleigh Suffolk since October 2011, James has worked as an estate agent in south Suffolk since 2006. Simon is a stakeholder in the business. Previously, Simon ran and owned a business in the media and publishing industry. Passionate about property, Simon has had his own investment property portfolio for many years. Born and bred in Suffolk, Simon lives in Burstall with his family. James is a stakeholder in the business. Prior to estate agency, James spent several years as a financial adviser and the majority of his earlier career as a Lloyds Insurance Broker in the City of London. Resident of Suffolk for most of his life, James has lived in many of the south Suffolk towns and villages, having now settled with his family in Offton. Hunters Estate Agents and Letting Agents Hadleigh have a formidable reputation for working successfully with discerning individuals and property professionals on the sale and letting of their property. We aim to establish individual relationships with our clients through a business built on enthusiasm, energy, agility and professionalism. Our client service is at the heart of everything we do. We have high standards and aim to exceed expectations. As a Hunters Exclusive branch, you can be assured of working with a modern business at the forefront of the property industry. Retaining our independence within the Hunters network allows us to use our experience, imagination and knowledge to create opportunities for our clients whilst benefitting from the strength and depth of a national estate agency brand. First and foremost our job is to sell. The marketing at Hunters Estate Agents and Letting Agents Hadleigh is of the highest standard supported by a highly professional and creative local team who take photographs, design and print brochures, assess the properties energy performance and record floor plans. We use all media to market your property including websites, newspapers and magazines. Most importantly, we promote your property from our High Street office and throughout the network of Hunters branches in Greater London, the Home Counties and nationwide to people we know are looking to buy. The team at Hunters Estate Agents and Letting Agents Hadleigh provide both a tenant finding service and a property management option to our landlords. The same attention to marketing is given to our clients’ rental properties. As experts in helping people move home we’ve built great relationships with other like-minded industry professionals who can provide our clients with property maintenance from full refurbishment to gardening. We aim to help our landlords increase their rental value, reduce vacant periods, improve the calibre of tenant and reduce the cost of maintenance. 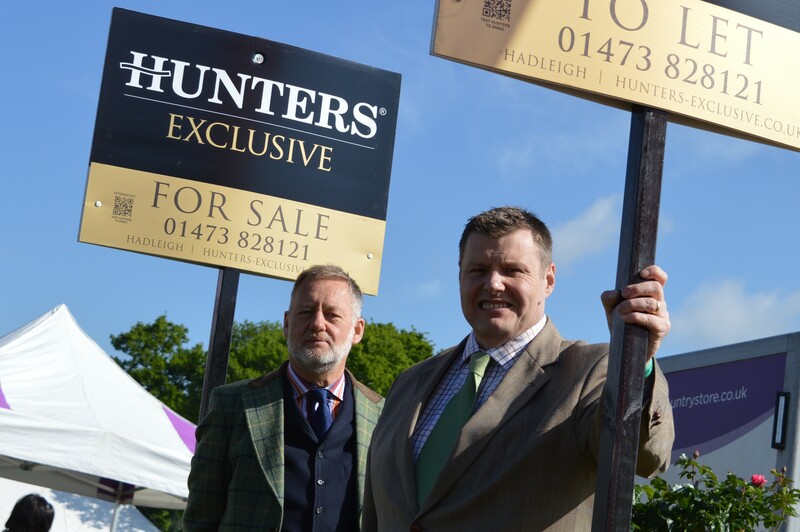 Click to view preferred suppliers for Hunters Hadleigh. VAT Reg No: 154 8054 09 | Registered No: 07806988 | Registered Office: 1 Market Place, Hadleigh, Ipswich, Suffolk, IP7 5DL. A Hunters franchise owned and operated under licence by Morton Smith & Girling Limited. South Suffolk is a picturesque area with rolling countryside, huge skies and large areas of outstanding natural beauty. There are pretty villages seemingly around every corner and several attractive market towns. An ancient and historic region preserved for future generations by numerous conservation areas, both in towns and villages. The town of Hadleigh is central to the area and is one of Suffolk’s finest small market towns with a population of around 9,000. Hadleigh has an array of historic buildings, a strong community and an eclectic mix of amenities, including shopping, leisure and recreational activities. There are many appealing surrounding villages, from the conservation villages of Chelsworth and Kersey, to Boxford and Bildeston with their range of amenities and primary schools. A major advantage of the area is its excellent communication links. Trains to London Liverpool Street can have journey times of under an hour and the road network includes the A12 and A14, making the south and midlands easily accessible. Our office is strategically placed at the heart of the region in the market town of Hadleigh. So whether you are looking for a smart town house or idyllic country cottage, our friendly and knowledgeable staff can help.